The equator can be thought of as an imaginary horizontal (latitude) line that divides the Earth into the North and South Hemispheres. This line is interesting in that it is identified as 0° degrees N or S which means that it is the starting point along the entire Earth. 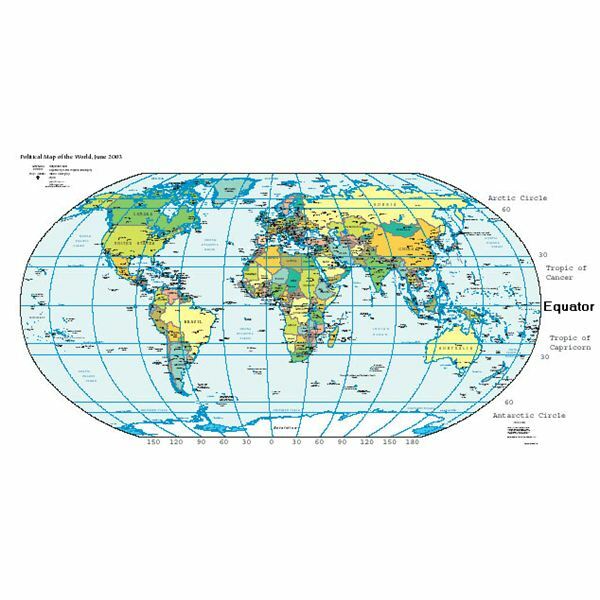 It is also important to know that to the north of the equator at 23.5° N is the Tropic of Cancer while to the south of the equator at 23.5° S is the Tropic of Capricorn. These regions are known as the tropics and will be important when we talk about the temperature along the equator. So what is the temperature along the equator? For the most part, several factors influence the equator’s temperature such as the amount of sunlight that is received, the elevation of a particular place, and other miscellaneous aspects such as cloud coverage and amount of rainfall. tropical rainforest biome which takes place along the equator as well as extending to north and south to the Tropic of Cancer and Capricorn. According to Michael E. Ritter, the average annual temperature in the tropical rainforests are between 20-30° C (68-86°F) and stay relatively the same throughout the year. One reason it is so particularly warm is that the tropics and the equator receive the most sunlight from the sun due to the Earth’s tilted axis. Even though most individuals think this region is much hotter temperature wise, it is surprising to learn that these regions gain their hot environment from humidity. 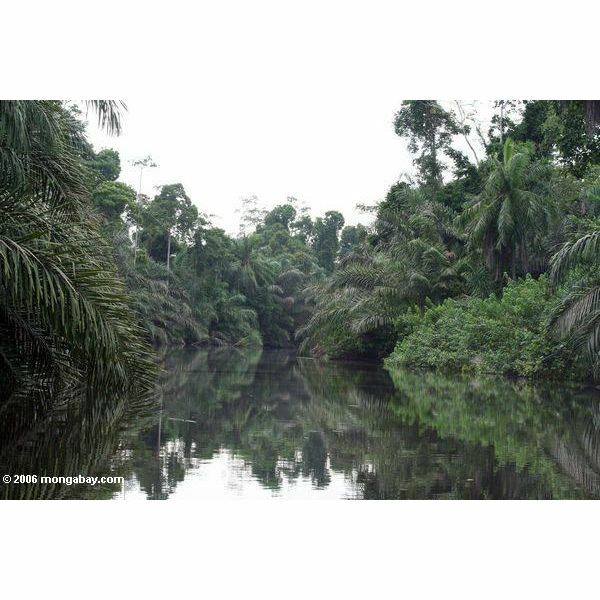 Humidity comes from the tropical rainforest’s constant rainfall, receiving about 80 inches of rainfall annually. It is not surprising that rainfall contributes to the rise in humidity which alone can be measured between 15-20° C (59-68°F)! With the combination of the temperature and humidity, one can see how the tropical rainforest is a much hotter region that it appears to be. In addition to the hotter areas, like the tropical rainforest, areas with cooler temperatures along the equator can also be found. One would think that the temperature along the equator would always be hot due to the amount of sunlight that it receives, however this is not the case. The reason for this phenomenon owes itself to elevation. When you think of areas of high elevation, what do you think about? Surely some ideas come to mind, however you probably think of mountain ranges. 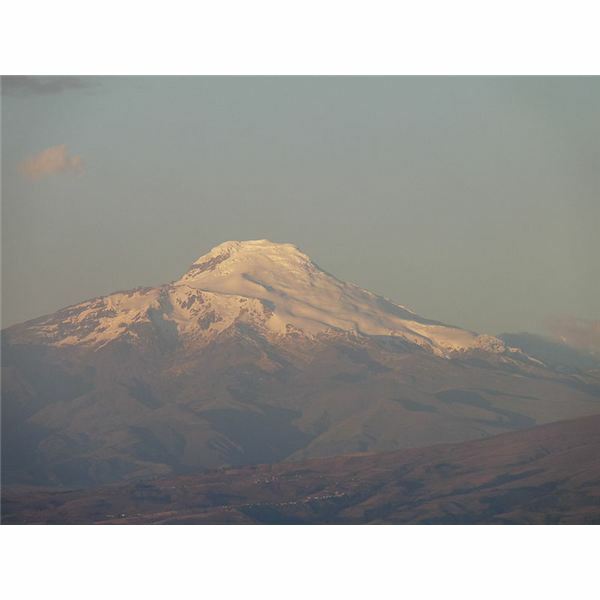 For example, the mountain Volcan Cayambe in Ecuador lies along the equator yet it still has snow and ice at higher elevations. In this manner, areas with lower elevations are hotter than higher elevations. Other factors can also influence cooler temperatures. For example, cloud coverage can drop temperature by blocking out the sun while at the same time providing shade to the land below. Another factor is being isolated from a body of water. For example, oceanic waters tend to warm up the temperature due to sunlight hitting the water; however being away from a body of water can lend regions to be cooler. So what are the temperatures along the cooler regions of the equator? For the most part, it is difficult to say because of the variety of factors that influence temperature. Ritter, Michael E. "Tropical Rainforest Climate." The Physical Environment: an Introduction to Physical Geography.